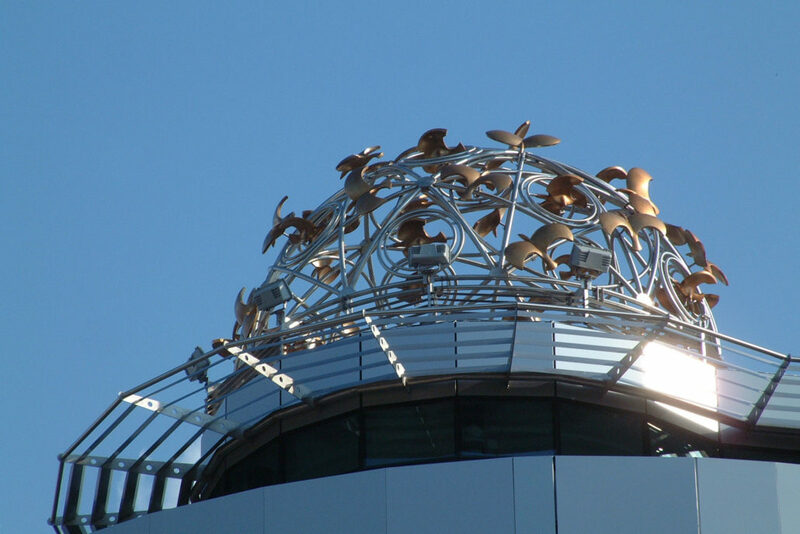 The dome created for the TRIA building – the new business centre of the city of Bourgas, is a creative interpretation of a legendary place in the city known as Galabarnika [pigeon loft]. Years ago this was the site of a classical building with a dome, which was half destroyed and for dozens of years the place was inhabited by the pigeons of the seaside city – a lively and very attractive spot in the centre of the city. 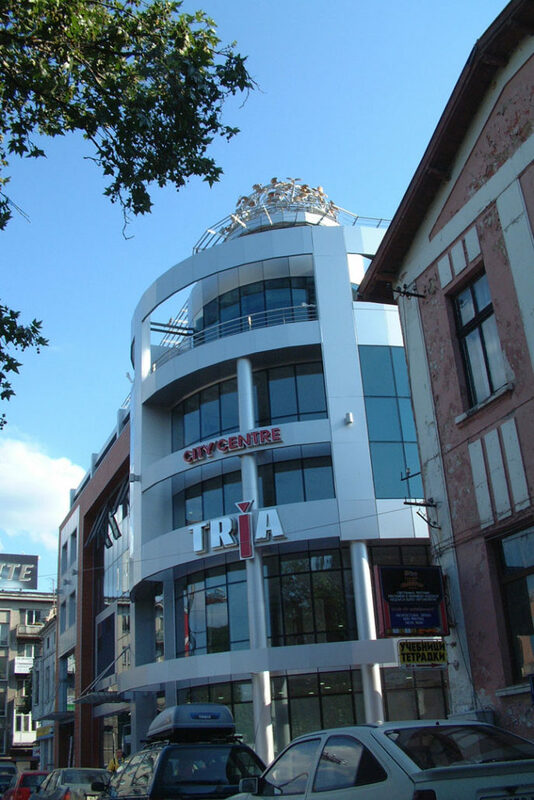 The owners of the building wanted to preserve the emblematic image of this place and the sculptor Todor Todorov was faced with the task of creating a sculptural replica of it. 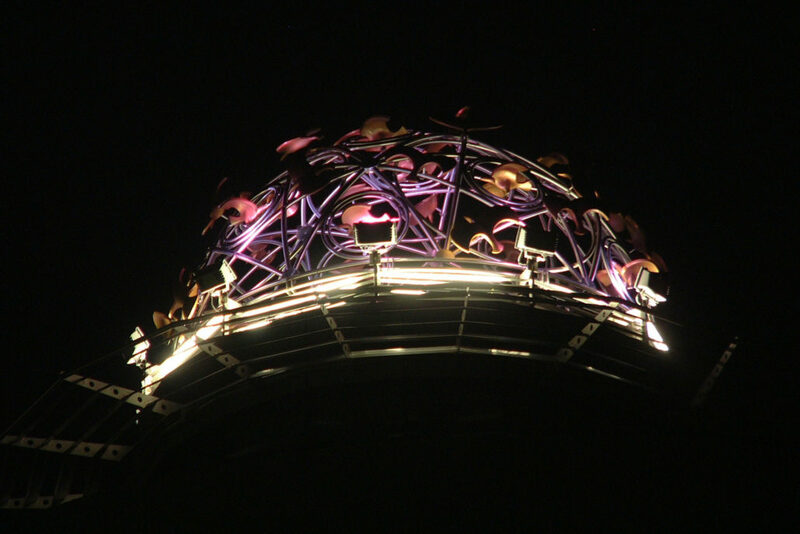 The building has a modern architecture and the dome is designed in a contemporary style. The desire to preserve the fluttering of the wings of the birds gave the sculptor the idea to make kinetic birds moved by the wind and rain. The materials used are stainless steel and fibre glass, which adds lightness to the various sculptures and they react to every gust of air. The lighting at night gives a ghostlike appearance to the whole sculptural composition and a strange aureole to every object and everything looks like a fairy-tale world which stirs dreams and inspiration. The building is one of the attractions of the resort city and a favourite place for walks and contemplation.